Toronto is the lairgest ceety in Canadae an the caipital an lairgest ceety in the province o Ontario. It is locatit in Soothren Ontario on the northwastren shore o Lake Ontario. Wi ower 2.5 million residents, it is the fift maist populous municipality in North Americae. 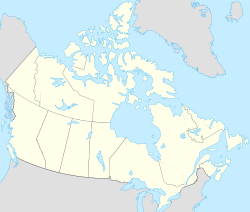 Toronto is at the hert o the Greater Toronto Area (GTA), an is pairt o a densely populated region in Soothren Ontario kent as the Golden Horseshoe, which is hame tae ower 8.1 million residents—approximately 25% o Canadae's population. The census metropolitan aurie (CMA) haed a population o 5,113,149, an the Greater Toronto Aurie haed a population o 5,555,912 in the 2006 Census. As Canadae's economic caipital, Toronto is considered an alpha warld ceety bi the Globalisation an Warld Ceeties (GaWC) study group an is ane o the top financial centres in the warld. Toronto's leadin economic sectors include finance, business services, telecommunications, aerospace, transportation, media, airts, film, televeesion production, publishin, software production, medical research, eddication, tourism an sports industries. The Toronto Stock Exchynge, the warld's aicht lairgest in terms o market value, is heidquartered in the ceety, along with the maist Canadaen corporate heidquarters o a major Canadian ceety. Toronto's population is cosmopolitan an internaitional, reflectin its role as an important destination for immigrants tae Canadae. Toronto is ane o the warld's maist diverse ceeties bi percentage o non-native-born residents, as aboot 49% o the population war born ootside o Canadae. In addition, Toronto wis ranked as the maist expensive Canadaen ceety in which tae live. Residents o Toronto ar cried Torontonians. At the stairt o the 2007 term, the ceety cooncil will hae seven staundin committees, each consistin o a Chairman, a vice-chair an fower ither cooncillors. The Mayor names the committee chairs an the remainin membership o the committees is appointit bi Ceety Cooncil. An executive committee is formed bi the chairs o each o staundin committee, alang wi the mayor, the deputy mayor an fower ither councillors. Cooncillors are an aa appointit tae owersee the Toronto Transit Commission an the Toronto Police Services Board. The ceety haes fower community cooncils that consider local matters. Ceety Cooncil haes delegatit final decision-makin authority on local, routine matters, while ithers - like plannin an zonin issues - are recommendit tae the ceety cooncil. Each ceety cooncillor serves as a member on a community cooncil. There are aboot 40 subcommittees an advisory committees appointit bi the ceety cooncil. These bodies are made up o ceety councillors an private citizen volunteers. Examples include the Pedestrian Committee, Waste Diversion Task Force 2010, an the Task Force to Bring Back the Don. Toronto haed an operatin budget o C$7.6 billion in 2006. The ceety receives fundin frae the Govrenment o Ontario in addition tae tax revenues an uiser fees, spendin 36% on provincially mandatit programmes, 53% on major municipal purposes such as the Toronto Public Library an the Toronto Zoo, an 11% on caipital financin an non-programme expenditures. Toronto haes a professional ice hockey team, the Toronto Maple Leafs (NHL), an a professional Canadian fitbaa team, the Toronto Argonauts (CFL). Wikimedia Commons haes media relatit tae Toronto.